“It has now been 8 years since my Dad and I moved into the Presbytery in Mountain Ash and over the years we have both been very privileged to join with you, in sad and happy events, but now it is time for us to move on. Whilst obviously we are both sad to leave we both knew we would not be here forever! So on behalf of us both I would like to offer you are heart-felt thanks for allowing us to be able to have been part of your lives during these years. We ask that you would kindly remember us in your prayers as we will remember you. 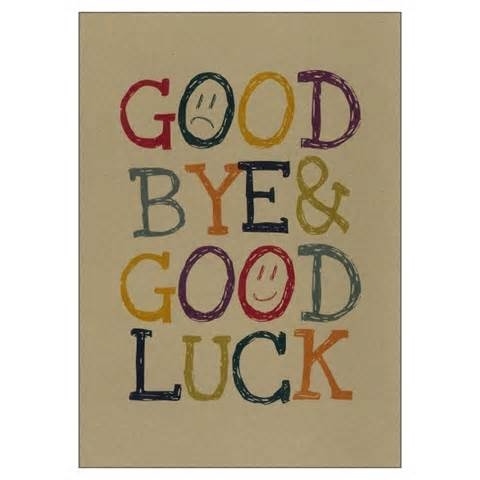 Personally (Fr Mark) I am so pleased to be leaving a parish after all these years in which I have tried my best, given my human limitations to try and enhance each Church for the greater glory of God, his Blessed Mother and all the Saints. I am so pleased that as Dad and I leave you that we leave knowing that there will be a Priest to replace me in this beautiful part of South Wales and that all Churches remain open!! We are both grateful and thank you to all those who have given us cards or sent in gifts as they show us your kind appreciation for our time spent among you. As I go my hope and prayer is that you will support your Churches and try to be more involved in the life of them - they are part of your, our history now and the legacy of the Catholic faith in this area. Our new Parish cluster incorporates 3 local Catholic Churches; Our Lady of Lourdes in Mountain Ash, St. Joseph's, Aberdare and St Therese of Lisieux in Hirwaun. All 3 Churches make up the "Upper Cynon valley" which lies approx 15 - 20 miles North of Cardiff. Feel free to share any comments or questions that might be on your mind through our online guest book. If you're not currently a member of our church - we'd like to take this opportunity to invite you to one of our weekly services. And of course, feel free to reach out and call me, the Parish Priest. You and your friends are always welcome to come and join us for our Masses and Services at anytime. We'd also like to invite you to make an online prayer request. You're prayer request opens the door, and God is waiting patiently on the other side of that door, at all times, in all situations, to join with you. 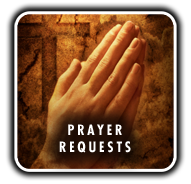 All prayer requests will be prayed for during the weekday Masses and/or on a Sunday discreetly if preferred. Assurance of my prayers for you all!! NB We now have a NEW Parish Leaflet based on the "Home MIssion Sunday" Leaflets that some parishes were invited to buy. We cannot afford it so we did our own!! They are available for download from the section called "Newsletters" (top left-hand side of this page) - please feel free and give them to lapsed Catholics in your area by hand to hand or why not push them through doors of Catholics you may know who are lapsed from their Catholic Faith. so that, together with the flock entrusted to his care, he may come to everlasting life. one God, for ever and ever, Amen. NB. The Catholic Church of Our Lady of Lourdes in Mountain Ash is open everyday (9am - 5pm) including holiday time for private prayer and reflection before the Lord in the Tabernacle.